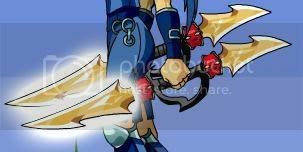 The light shining from these daggers is so bright it hurts! Just think what it will do to undead! This item requires a Dragon Amulet and Blacksmithing Level 18 or higher. -- Sasuke Uchiha1132 for original entry.